One 2013 goal for my movie watching is tackling genres that I’ve skirted in the past. An area that needs more attention is the musical, which was once a Hollywood staple. A future marathon will definitely address blind spots that remain from the golden age. This month, I’m going a different route and looking at recent musicals that have escaped my attention. The first choice is Idlewild, the 2006 vehicle for Outkast during their final act as a group. Set in the Depression era during Prohibition, this stylized movie was accompanied by a fun soundtrack. The hip-hop duo brought in talented actors to add weight to the production. 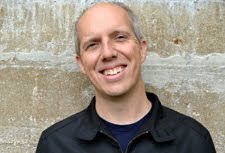 Director Bryan Barber is known for shooting music videos, and he uses a similar approach for his debut film. Does that energetic style translate into a satisfying movie? 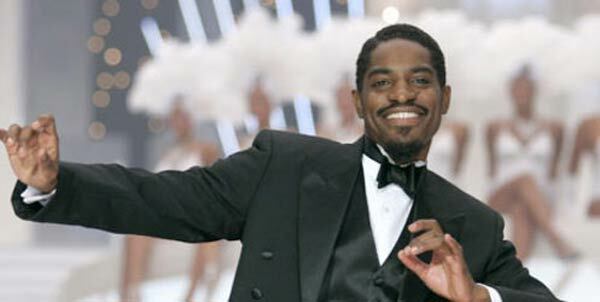 Barber also wrote the screenplay, though it’s likely that Outkast had a lot of input in the final product. In the Georgia town of Idlewild in 1935, Percival (André Benjamin) works at his father’s mortuary and dreams of a life in music. He plays the piano at a local night club called the Church but remains shackled by his daily work. His childhood pal Rooster (Big Boi) sells booze for the owner Ace (Faizon Love) and also performs there. When veteran gangster Spats (Ving Rhames) decides to exit the game, his underling Trumpy (Terrence Howard) steps up and makes his move. The results change everyone’s lives, including Angel Davenport (Paula Patton), who’s arrived from St. Louis to sing at the Church. She brings hope to Percival’s mundane life, while Rooster tries to stay alive against Trumpy’s forces. Beyond the songs, in what genre does this movie live? Barber’s main influence is 1930s gangster films, with a bit of melodrama thrown into the mix. The acting is theatrical and mostly over the top, and there’s plenty of excitement at the Church. The dancing girls and sharply dressed patrons match the aura of early musicals while adding a hip-hop vibe. What hurts the movie is the feeling that the story is traveling familiar territory. There’s little surprise to the outcome, even when a character tragically dies. The brutal violence also provides a jarring tonal shift from the rest of the movie. It’s an interesting counterpoint to the shimmer of the performances, yet it still feels like too much of a change. The story opens with a lively introduction to the characters and stars as youngsters, and it’s an exciting beginning. When that breezy feeling runs up against the dour material, it disrupts the delicate balance and leads to an uneven atmosphere. What are the musical highlights? Thankfully, the cheerful music numbers offset much of the inconsistency and keep the pace rolling. Big Boi lights up the stage early on while recreating his Speakerboxx single “Bowtie”. Many of these tunes appeared on that album originally, including another Big Boi tune “The Rooster”. André Benjamin spends much of the movie struggling to break out, so we don’t see a lot of him on stage. He does provide a show-stopping number during the end credits that reminds us of his charisma. Most of the songs occur at the Church, so characters aren't constantly singing. One setback is the cringe-inducing “Take Off Your Cool” during a love scene between Percival and Angel. That song is really on the nose in a pouring-rain sequence that feels more like a parody than a believable moment. Are the characters interesting when they aren't singing? The actors are solid for the most part, but there are a few glaring exceptions. Benjamin has a good screen presence, but I can’t say the same for his former partner. Big Boi stumbles through any scenes that don’t involve performing. His expressions are surprisingly flat during the emotional moments with his family. Rooster has a wife and five kids, but he spends his evenings at the Church and cheats on her. When he tries to get his life on track, it feels like he doesn’t believe in the character arc. 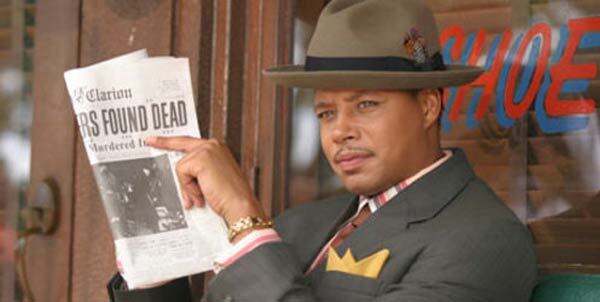 It helps to have actors like Terrence Howard and Ving Rhames, who both have fun as gangsters. Paula Patton also does her best in a limited role, but the same can’t be said for Paula Jai Parker and Macy Gray. It’s tough to really criticize anyone since the material is thin, but some actors just feel more comfortable. This is the main reason that Benjamin stands out, and he could have a future in movies. It will be interesting to see how he does playing Jimi Hendrix in All by My Side later this year. Do the art direction and cinematography equal the excitement of the genre? There are some creative touches from Barber, who has inanimate objects coming to life in Wonderfalls-like fashion. Rooster gets advice from the rooster on his flask, and the cuckoo clocks in Percival’s room go beyond their expected use. This fresh approach is the best part of Idlewild, which works when it’s taking chances and selling the fun. The issues appear when the plot takes over and bogs down the excitement. It’s hard to care about whether Rooster can stop Trumpy from taking over the Church. We spend too much time in a more straightforward gangster story. There are enough positives to keep it engaging, but there’s too much unnecessary material to deliver a thrilling experience. Next week, I’ll head back to the '60s and groove to The Beatles in Across the Universe. Musicals are my biggest blindspot, because I'm not really that fond of that kind of filmmaking. I didn't even know Outkast was in one. My favorites are Wizard of Oz & Moulin Rouge (2001). I really should give Across the Universe a try for the Beatles music. Chris, I'm probably not that far beyond you with my musical viewings. I did catch up with West Side Story and Cabaret just last year, and I finally saw Rocky Horror in 2011. I wouldn't bother with Idelwild unless you're a huge Outkast fan, but Across the Universe is pretty great. I still need to write my post, but I was surprised by how much I enjoyed it. I heard of this one and Outkast had made some great music, still I never felt compelled to watch this movie. Might have to give it a chance. Nostra, it's worth seeing if you're curious and like Outkast, but it's unlikely to be an amazing experience. There are some good moments, but it's pretty inconsistent.